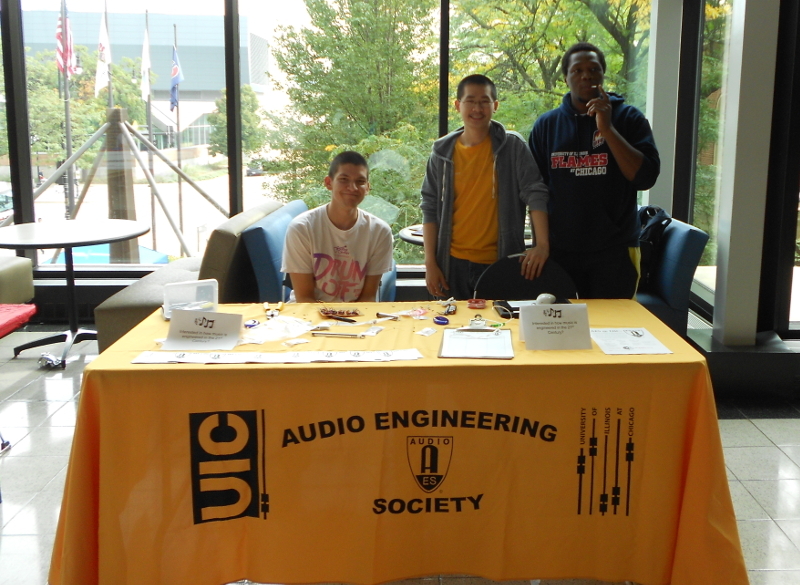 A student chapter of the Audio Engineering Society at UIC. We will be having a meeting on Wednesday, April 5, at 5pm in SEO 1325. Our guest speaker will be Dave Maclaughlin, of the speaker company Genelec, who will give a talk on speaker technology and how to improve the sound of any system. After that, we will have elections for AES officers for next year (president, vice president, treasurer). Talk to president Steve Leib if you have any questions or are interested in being an officer and want more information. For more events, see our Events page. The CAVE2 in the Electronic Visualization Laboratory of UIC is a cutting-edge virtual reality environment with the purpose of enabling users to better conduct e-science (http://www.evl.uic.edu/core.php?mod=4&type=1&indi=424). Utilizing 72 LCD monitors and a 20 speaker surround audio system, the CAVE2 offers intuitive analysis and interaction with datasets. The students of AES@UIC aim to expand the functionality of the audio server of CAVE2 through original research on open questions. Currently, AES@UIC is working on a new spatialization algorithm and putting ideas together for a demo to showcase it. It's called the Forte - but earlier names included labels along the lines of un-piano, or backwards keyboard. Because of the reverse approach of the instrument, all names are quite fitting. Implementing thirteen photo resistors corresponding to a one octave range, the Forte is played by covering up the notes the player does not want to hear. Contact us if you'd like to join our email list, or if you have any questions. We'd be glad to hear from you!